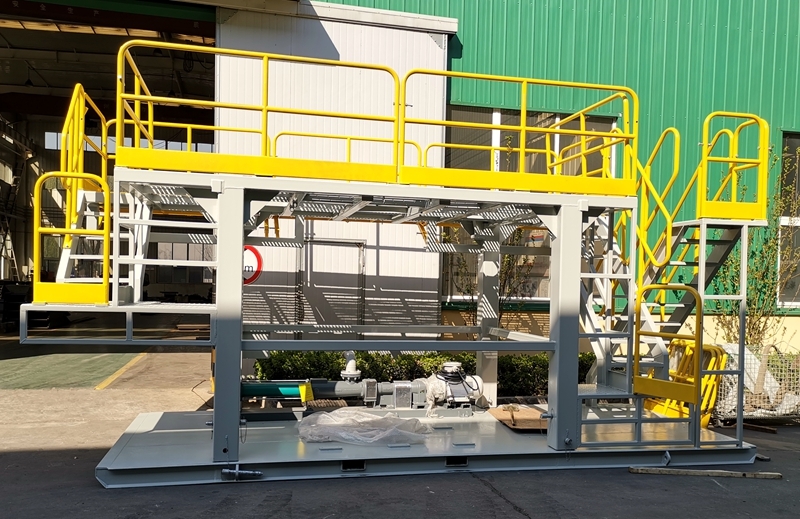 1) Compact design, all the hydraulic drive system imported from Europe, the main motor ( explosion proof, IEC or ATEX), electric control panel, centrifuge bowl assembly, bearing , skid are installed on one skid for convenient operation, convenient transportation, and save space for installation. 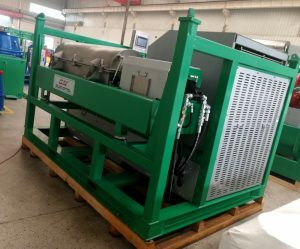 2) Big bowl speed adjustment arrange, Big differential speed adjustment range for better separation result, it can treat the drilling fluids drier and recycle more clean fluids, and separate more solids. 3) It is more suitable for heavy duty drilling fluids and specially in high temperature area, like India, Middle east, Brazil, Africa etc. area. 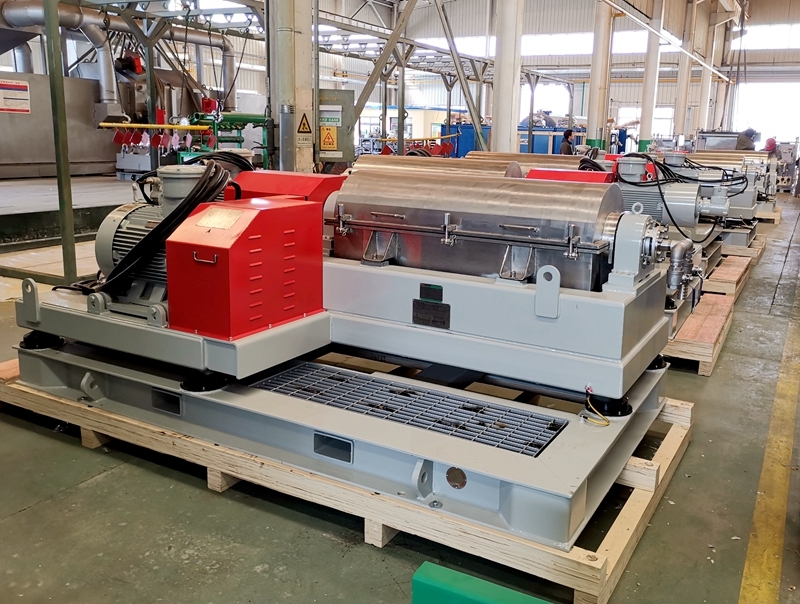 GN VFD decanter centrifuge is also very suitable for extremely high and extremely low temperature area, like Russia, and above mentioned countries. When the environmental temperature is below 40 degree, the VFD self cooling tube installed inside the VFD control panel is enough. When the temperature is lower than 55 degree, we need to use an air conditioner for cooling, so that the VFD control panel can be operated 24 hours per day continuously without over heating to break. If use normal explosion proof VFD control panel, it will break very easy in hot weather. 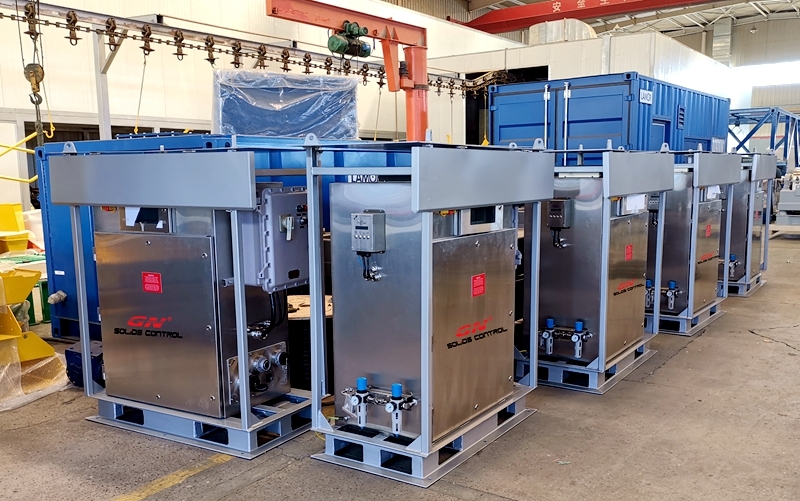 The positive pressurized VFD control panel with stainless steel material cover, equipped with ABB brand inverter for main motor, back drive motor, pump motor, PLC smart control, HMI interface, the operator only need to connect the cable gland with the VFD control panel. 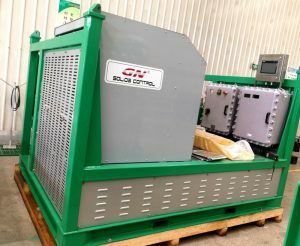 If you need FHD decanter centrifuge and VFD decanter centrifuge, pls contact with GN solids control.